Founded in 1891, the Garden is one of the world’s great collections of plants, the region’s leading educational center for gardening and horticulture, and an international center for plant research. The Garden is alive with opportunities for discovery, from an "ecotour" of the world in the Enid A. Haupt Conservatory to an innovative indoor/outdoor science museum for kids to 50 exquisite gardens and plant collections, all on a 250-acre National Historic Landmark site in New York City’s Bronx borough. The Thain Family Forest is a 20 hectare (50 acre) old growth, urban forest in the heart of the New York Botanical Garden’s (NYBG) 250 acre landscape and is the largest remnant of forest that once covered much of New York City. A canopy of centuries-old oaks, tulip trees, sweetgums, maples and other native hardwoods rises over dramatic terrain that includes the Bronx River floodplain and gorge, intermittent streams, ephemeral pools, and rocky ridges. The Forest has been an important research site, a favorite visitor destination, and an invaluable educational resource since NYBG became its steward in 1895. This unique urban woodland, which founding director Nathaniel Lord Britton referred to as “the most precious natural possession of the city of New York”, was the primary reason for the establishment of NYBG on its site. NYBG, recognizing the scientific, educational, and cultural value of the Forest, is committed to the continued preservation of this beautiful and important natural resource. The Forest, originally known as the “Hemlock Grove,” has changed considerably since 1895. 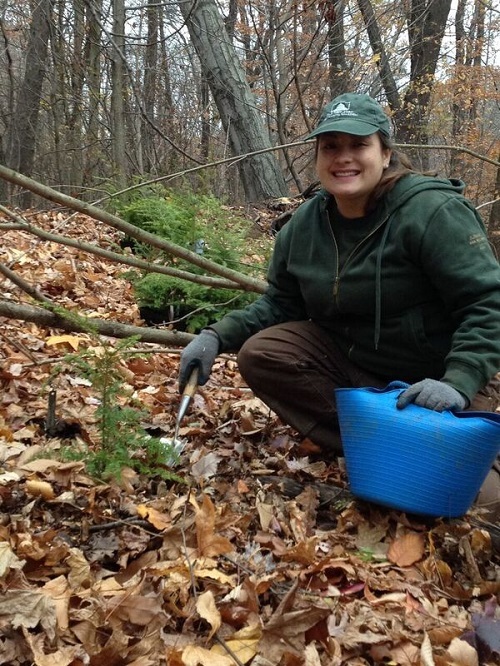 The hemlocks that once dominated the canopy began to decline early in the 20th century and have been nearly decimated in the last 30 years by two invasive insects: hemlock woolly adelgid and elongate hemlock scale. Human-caused disturbances including soil compaction, over-collection of native plants, pollution, introduction of invasive species, fragmentation, loss of top predators, and climate change threaten the remaining native plant communities and habitats. Previous stewards, respectful of natural processes that created the Forest and informed by ecological theories of their times, preferred a “let alone” policy of limited human intervention. After decades of this approach, it became clear that active management of the Forest would be necessary to mitigate the cumulative effects of anthropogenic disturbances. 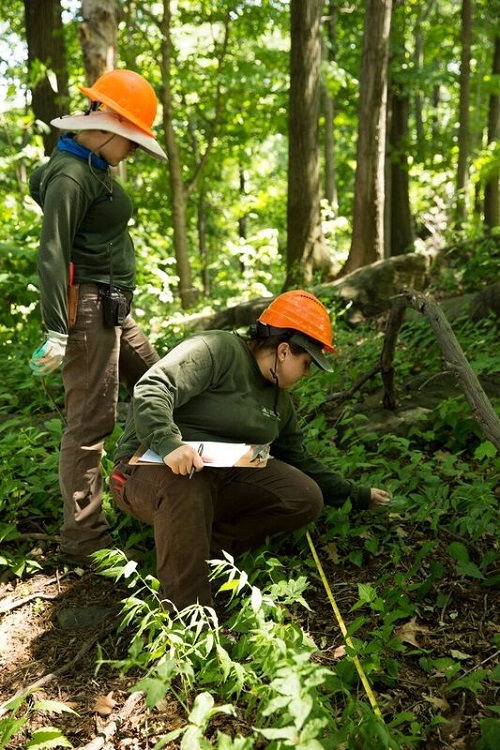 In 2008, to address threats to the Forest’s health, NYBG created of a comprehensive program of research, education, and ecological restoration. The goals of the Thain Family Forest Program are to encourage natural ecosystem processes and mitigate anthropogenic disturbances; to promote the natural regeneration of native species with minimal human intervention; to study and understand the impacts of the urban environment on forest health; to connect people with nature; to communicate the importance of forest ecosystems and the significance of having an old-growth forest in New York City; to teach about conservation, including the impacts of invasive species and ecological restoration; and to engage volunteers, students, and interns in all aspects of research, stewardship, and education. Please contact Jessica Arcate Schuler for more information about this project.